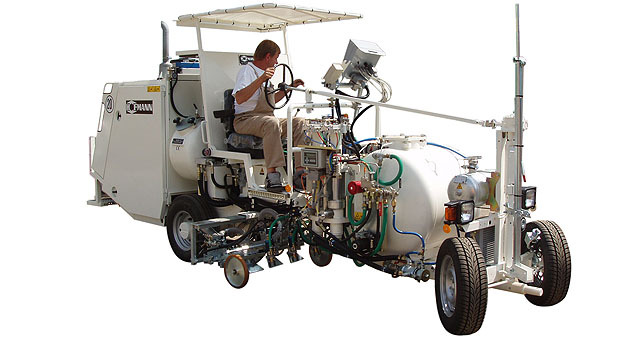 Road Marking Technology | HARDMAN UH a.s.
As you might have noticed our daily bread is road marking. We are specialized in distribution of horizontal road marking machines and its accessory, likewise in materials for horizontal road marking. 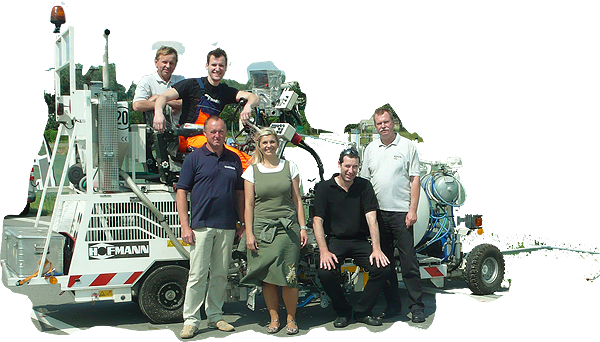 In cooperation with the biggest german road machines producer Hofmann GmbH., american Graco BVBA, swiss companies Basler and Kamber SA, austrian Rembrandtin and german Weissker we satisfy needs of Czech and Slovak clients. Latest video of new Hofmann road marking machine H10-2 in combination with 2C cold plastic open screed box for agglomerate marking. This time in action while laying 25 cm continuous and dashed line. 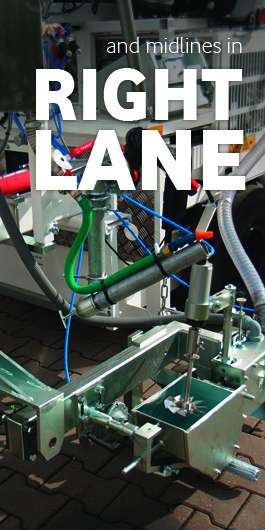 This machine was developed for small and middle road marking project. This time fitted with open screed box system for two component cold plastic layout. Output? Structural marking, flat, structural with profiles or flat with profiles. 10 to 30 cm line widths. Check out our testing video! Don't miss our short video from the biggest road traffic event in the world. Hofmann, Basler, Graco, Weissker, Kamber and Rembrandtin and us were there! Check out our video from the biggest road marking technology fair in the world! Nobody who is involved in the branche should miss this event. 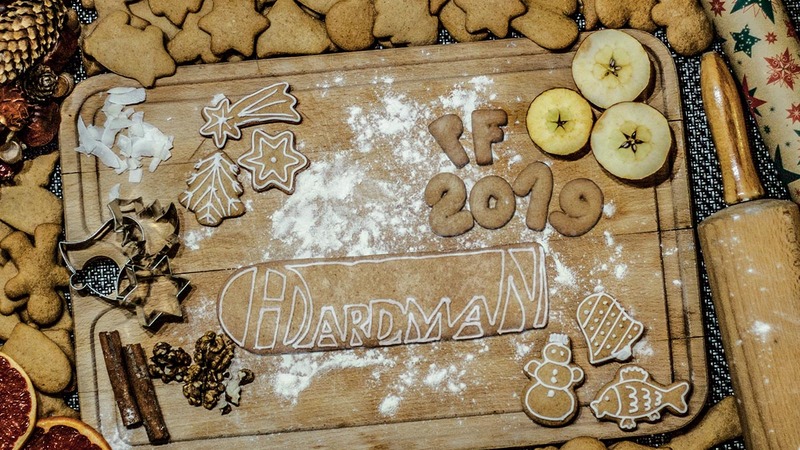 German road marking machine producer Hofmann came up with a new special machine. This piece is meant for medium size marking projects and is specialised in marking of curved sections. Find out more here. 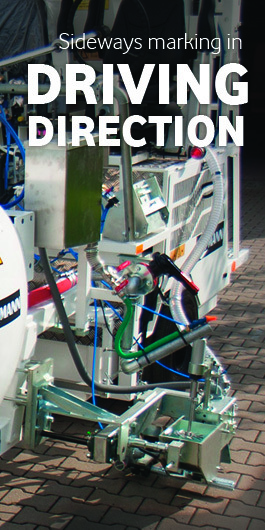 HOFMANN TechnologieTag & International Expo 2016 - one of these most interesting road marking events if not the most important one - check out the trailer! It has been already XV. happening of Road Fair in Pardubice. Fair hosted about 60 exhibitors and 600 visitors, all of them branch specialists. International fair in Hamburg attracked tons of visitors again. As always new technologies, new findings, demonstrations, common dinner were on the agenda. As an exhibitor we have taken a part in Slovakia's fourth seminar focused on summer road maintenance issues held in Šamorín. We regulary visit out paint supplier in Switzerland and this time we brought you a small photo report. International Technology Days organised by Hofmann GmbH. in Hamburg / Rellingen attracted this time over 500 visitors from more than 50 countries. We regularly take a part in czech road conferences this time organized in Olomouc in October 23. - 24. 2014. 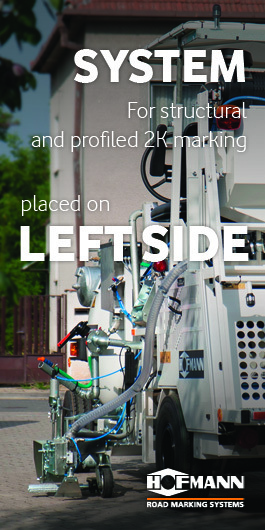 General information about horizontal road marking - part I. In cooperation with student Bc. David Kloubek we have brought you useful information about horizontal road marking divided into several chapters. This work is determined primarily for clients, project architects and realizers of horizontal road marking. The biggest international fair called Intertraffic organized in Dutch Amsterdam brought us many innovations and new contacts in traffic safety. In 1883 a professor of South Dakota predicted that future cars will be able to do for those times unbelievable speed over 25 miles per hour and will be driven on roads split with a white line into two traffic lines, each for one direction. As time passed in 1911 somewhere in USA first horizontal road marking popped up. Over 45.000 of dead and 1 million of injured per year, these are real results of car accidents on European roads. We should bear in mind that behind those numbers are in fact real humans, their suffering and damages. General estimation of these damages are in range between 1.6 to 3.2 trillion CZK. We can say that traffic safety is a responsibility of each country and its government. Such a complex topic involves besides other things not only directionality of communications, road surfaces, traffic lights, but also drivers training, vehicles safety and so. However each of these points plays a very important role. Horizontal road marking with its leading lines, directional arrows and pull-offs form a group of important signals determined primarily for drivers. One of its main functions is not only traffic safety but also leading of drivers and acceleration of road traffic. As important requirements of horizontal road marking are considered optical leading and traffic order and regulation as well. Long story short road marking needs to be visible during day and night for all participants of road traffic. Although horizontal road marking is the cheapest safety element of the entire traffic system you would hardly imagine driving through the night without help its white leading lines. Materials mostly used in the world are currently cold plastic, sprayable plastic, thermoplastic and two components cold plastic. For more information about personal data processing and protection please read here.